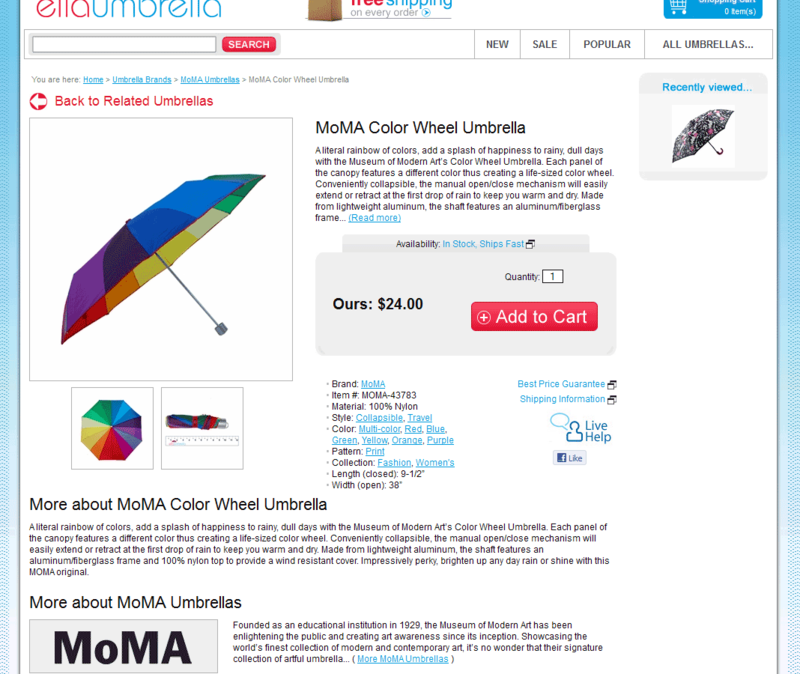 Built in May 2011, Ella Umbrella is a Yahoo Store selling a wide variety of umbrellas. The artwork and design for the site was handed to us, and we built the store's custom templates and functionality to the merchant's specifications. 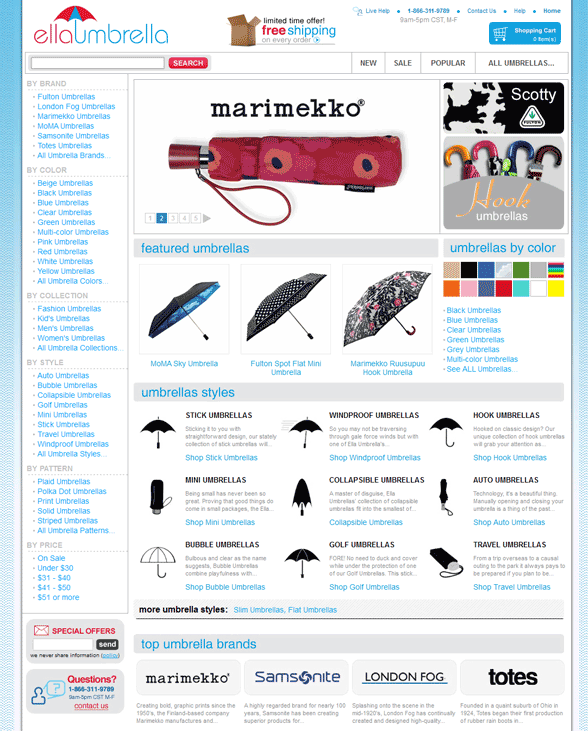 Virtually all aspects of the site was custom built, and no standard Yahoo store template elements were used. One of the most notable custom features of the store is a dynamic filtering panel, which replaces the standard side navigation on product list pages such as http://www.ellaumbrella.com/blue-umbrellas.html. 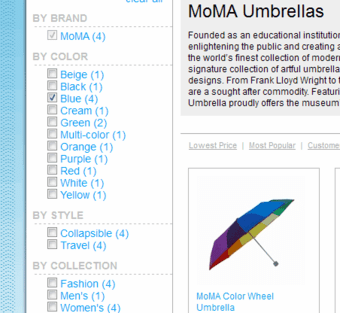 This feature "figures out" what attributes (color, collection, brand, etc) are present on the given page, and offers filtering opportunities to narrow the product offerings based on those attributes. 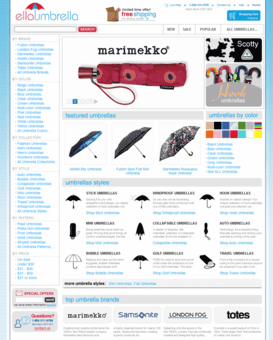 The store also features many of our other custom add-ons such as the Smart Breadcrumbs, Multiple Product Images, Dynamic Pagination, Social Media Buttons and many more.